den Maj 16, 2016, 10:23 a.m. In the midst of a hard-fought referendum campaign, the emphasis tends to be on the argument of the day rather than long term trends. 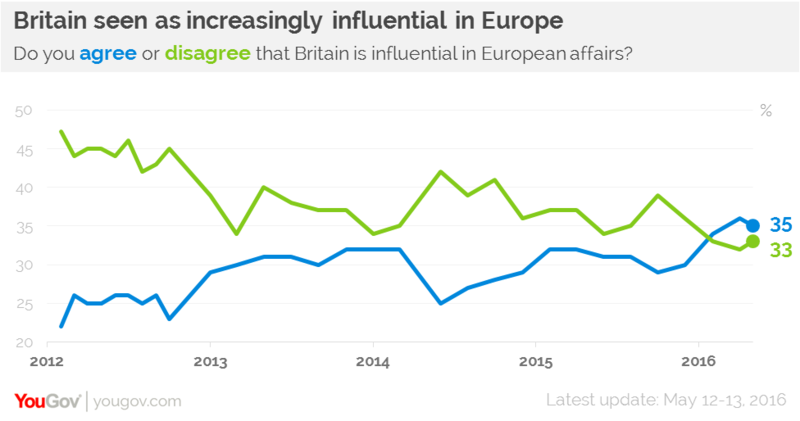 But looking back over YouGov data for the past five years, one trend is notable and perhaps surprising: YouGov research conducted around every two months since 2012 suggests Britain's perceived influence in European affairs is at an all-time high. In three surveys this year, more people have said Britain is influential in Europe than not. This is the first time British influence has been in positive territory since 2012, and three of such findings in a row indicate more than a blip. 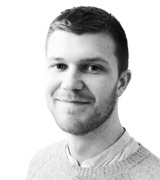 There may be a measure of the forthcoming referendum seen as giving us influence, or it may be that the prime minister's renegotiation at least suggested Britain was involved in discussions at the EU table. 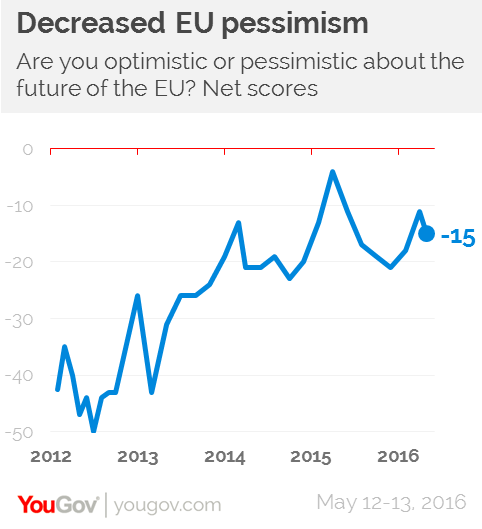 While still firmly in negative territory, optimism about the future of the EU has been substantially higher over the past two years than during the lows of the Eurozone crisis and the threat of debt defaults by poorer European states. At net -15 pessimism is far lower than in 2012 (-43 on average) and 2013 (-29).